5" x 7" Blank Cards, featuring Hawaiian designs. 5" x 7" Special Occasion Cards, featuring Hawaiian designs. 5" x 7" Blank Cards, featuring Vintage Hawaiian Art. 5" x 7" Special Occasion Cards, featuring Vintage Hawaiian Art. 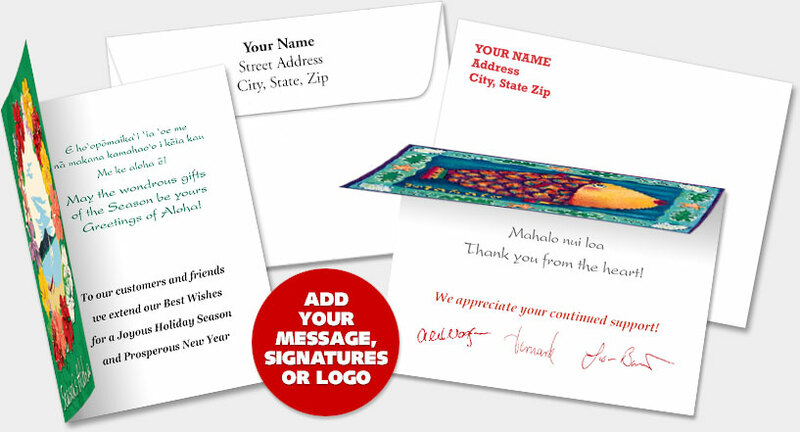 5" x 7" Holiday Cards, featuring Christmas Hawaiian designs and translated Hawaiian greetings.